Please plan to attend! 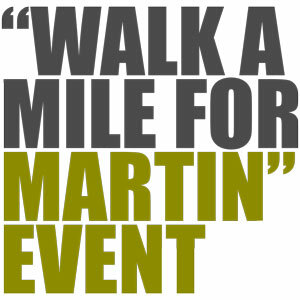 This Martin Luther King, Jr. Day, all ACPS employees are invited to attend Woodbrook Elementary School’s 4th annual Walk a Mile for Martin event. Each year on MLK Day, the Woodbrook community gets together to walk at least one mile for a myriad of causes. Participants choose to walk against an injustice that is important to them (bullying, hunger, poverty, or educational inequality, for example), or they dedicate their mile to a person who has sacrificed for them. The goal is to walk as a school community with a positive purpose. Participants are welcome to walk (or run!) as many miles as they would like.